"The period of the English Civil Wars (1642-51) was one of the most momentous in British history. Never before had the institution of monarchy been so fundamentally challenged. Never before had a monarch been executed. Truly the natural order had been turned upside down." 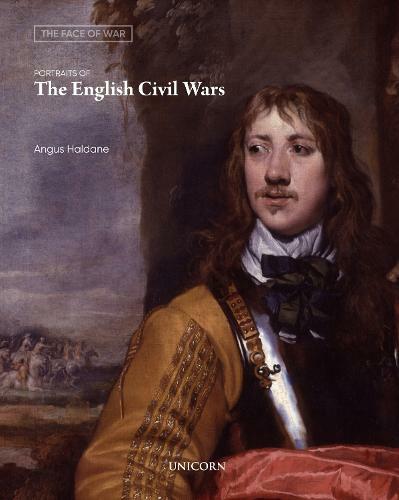 This book provides insight and perspective about the lives, vanities, and relationships of those who fought in the English Civil Wars through the filter of portraiture, much of it painted as conflict raged. Roundhead against Cavalier, Royalist against Parliamentarian, Dandy against Puritan - this book examines and deconstructs many of the common preconceptions of the period. Lavishly illustrated, many of these portraits will not have been seen before. This volume is the first in a series of books on The Face of War.